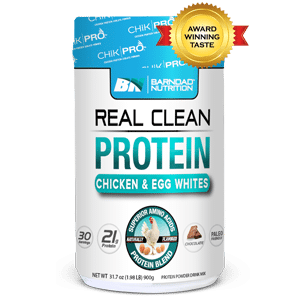 What is REAL CLEAN PROTEIN? 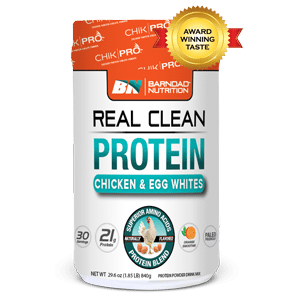 REAL CLEAN PROTEIN is the Worlds #1 REAL CLEAN PROTEIN POWDER (Chicken and Egg Whites). It provides two of the most bioavailable natural and efficient food protein sources on the planet and contains all of the essential Amino Acids and BCAA’s the human body needs for health, muscle growth, strength, and recovery.